Concord, N.C. (November 29, 2010) – Racing legend and all time NASCAR win leader Richard Petty is back in the driver’s seat. 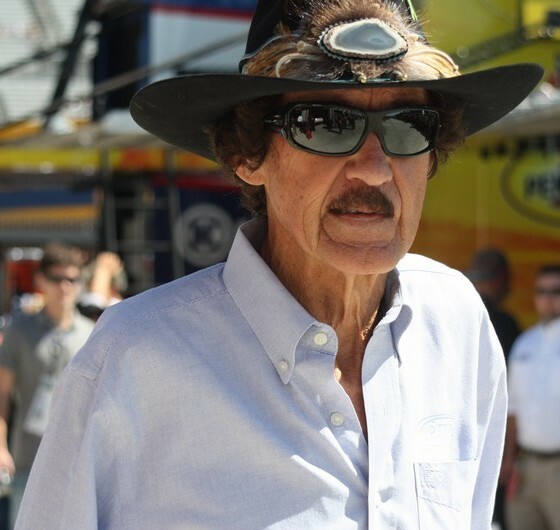 Richard Petty Motorsports signed and closed a sale of its racing assets to an investment group comprised of Richard Petty, Medallion Financial Corp. (Nasdaq:TAXI) and DGB Investments. Richard Petty, a seven-time NASCAR champion has won 200 races, including 10 Daytona races. Known in the NASCAR world as “The King,” Petty will serve as Chairman and will be actively involved in overseeing day-to-day operations of the company. As previously announced, the team will operate the legendary No. 43 car driven by AJ Allmendinger and the No. 9 car driven by Marcos Ambrose. “Today is a great day for me, my family, our fans and our wonderful sponsors. Ford, Stanley Tools, Best Buy, Valvoline, Reynolds, Air Force, Super 8, Paralyzed Veterans of America (PVA), WIX Filters and Menards have supported me through thick and thin and I thank them from the bottom of my heart,” said Petty. Medallion Financial, a publicly traded investment company, has invested over $3 billion in companies since its IPO in 1996 and its board members include such notables as former New York Governor Mario Cuomo, former Connecticut Governor and Senator Lowell Weicker, and another “King” of his sport, Hank Aaron. The Murstein family is the largest shareholder in Medallion, owning approximately 20 percent. DGB Investments is an investment vehicle of Canadian-born investor Douglas G. Bergeron, CEO of VeriFone Systems, Inc. (NYSE: PAY), San Jose, Calif. In 2001, Bergeron and DGB participated in the acquisition of VeriFone Systems from Hewlett-Packard in a transaction valued at $50 million. Today, VeriFone’s market value exceeds $3 billion dollars and Bergeron remains CEO and one of the largest individual shareholders. Please join us on our Facebook page at facebook.rubbingsracing.com to comment on this article.